Cedar Hollow is one of the 27 communities in the east Sarasota area historically known as Fruitville. This community is located off south of Fruitville Road, with its eastern perimeter bounded by Honore Avenue stretching for nearly a mile right up to the western terminus of Palmer Boulevard. 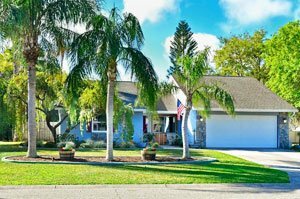 Like many of the bedroom communities in and around Fruitville, available properties in Cedar Hollow often go under the radar of prospective buyers of Sarasota homes for sale. Most longtime Sarasota residents would remember only the community’s acreage, being that it once was an orange grove just a short distance west of Interstate 75. Cedar Hollow was developed in three phases starting from the early 1980s. Its home sites are larger than most of its neighbors’. Some of this community’s lots measure up to half an acre, though Cedar homes for sale are more affordably priced compared to their neighboring residential properties. This community consists of 225 dwellings, with the ‘’Florida rancher’’ designs dominant amongst them. Cedar Hollow residences that land on listings of Sarasota homes for sale mostly have had significant upgrades, though there are a few too which are fixer-uppers. Typical sales listings in this community are priced from the $100s up to the $200s, featuring floor plans of between 900 and 1,600 square feet ideal as entry-level homes. Notably, there are no deed restrictions in this community. Thus, buyers could easily undertake makeovers on their home choices, including possible extensions, given the large lots of the Cedar Hollow community. Property values at Cedar Hollow have a good potential for appreciation, as some major development projects are set in the Fruitville area. These include the construction of an overpass linking Cattlemen Road north of Cedar Hollow to the new southern extension of Lakewood Ranch Boulevard. Its completion would significantly ease local traffic to the shopping hub of the Mall at University Town Center as well as to various points of interest in Lakewood Ranch. Previously, major infrastructure projects have been completed around the Fruitville area which also benefitted many east Sarasota homes for sale as a whole. These include infrastructure improvements on the corridors of Honore Avenue and North Cattlemen Road, as well as upgrades at the Nathan Benderson Park when it hosted a world rowing competition in 2017. These recent road upgrades even made it more convenient for the Cedar Hollow residents to access the traditional points of interest in downtown Sarasota, such as its hubs for the arts, culture, and entertainment. 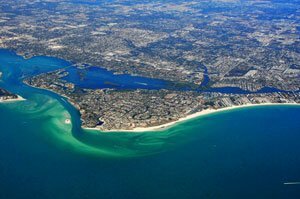 The nearby local attractions likewise include those in the county’s barrier islands towards west, including Siesta Key and its pristine white beaches. Westward trips also take local residents to the popular shops, boutiques and restaurants of St. Armand’s Circle. Proximity to some of the top local schools further bolsters market interest on Cedar Hollow homes for sale, particularly for young families. McIntosh Middle School is notably just adjacent west of this community, which is also close to Fruitville Elementary, Brentwood Elementary, and Sarasota High School. 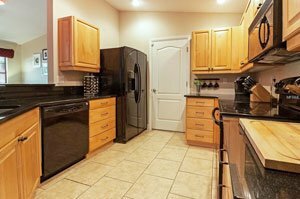 Below are the current real estate listings available at Cedar Hollow.